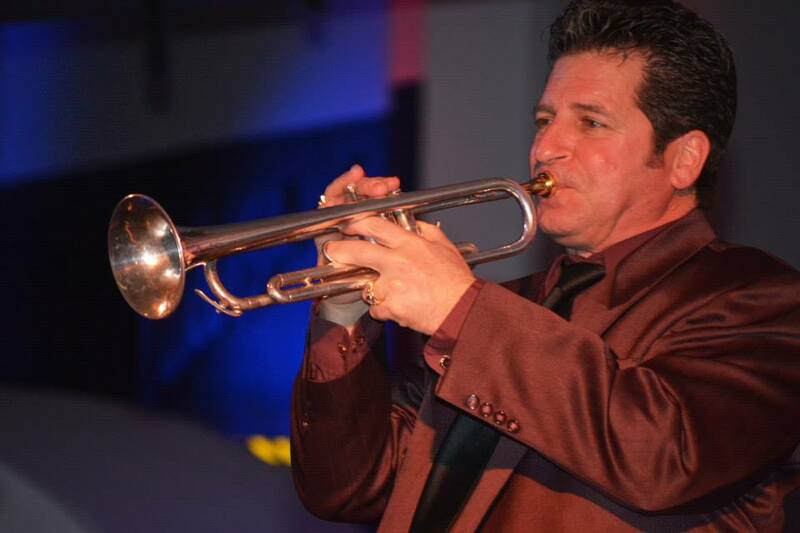 From Guy Lombardo and His Royal Canadians, to big band performances at Clint Eastwood’s ranch, to the lead/jazz trumpet chair in Wayne Newton’s band, trumpeter /vocalist Michael “Gooch” Gurciullo has been around, and back. 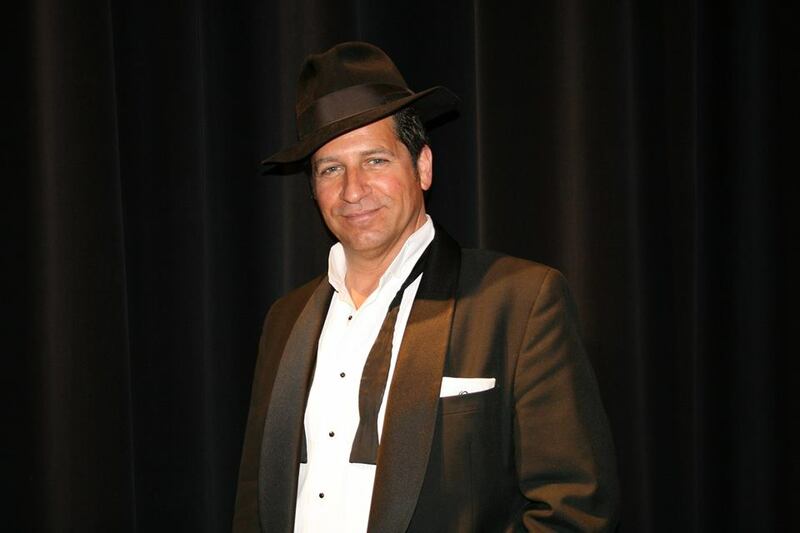 Upon completion of N.T.S.U., Mike gigged for a year as the featured soloist with the Glenn Miller Orchestra. After a year, Mike moved west to Monterey, California. While there, he founded The Monterey Jazz Orchestra, and played Monday nights at Clint Eastwood’s Mission Ranch. After several years, Mike moved to Las Vegas. During his fifteen years spent in Vegas, he worked most of the major showrooms with headliners. 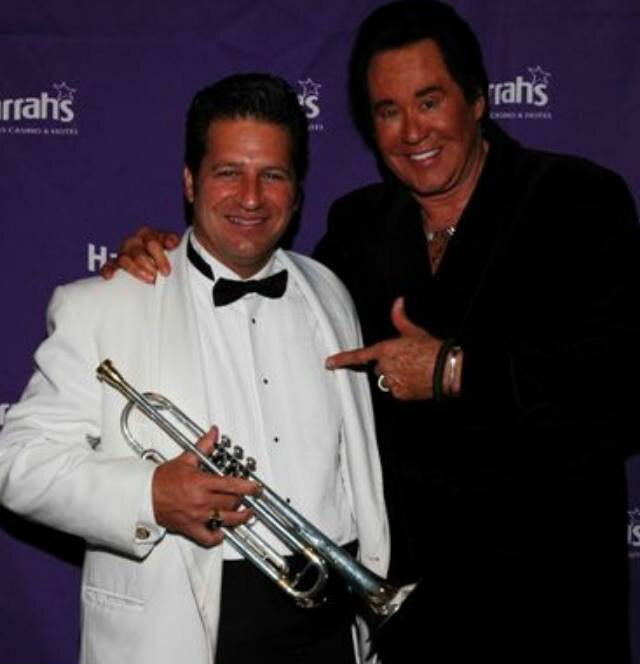 He traveled exclusively with Wayne Newton all over the US, Canada, and the 2006 Australian Tour. There, Gooch founded the Las Vegas Big Band. He had the top-call players meet with him on Monday nights to bring some of the hottest big band jazz to the people of Las Vegas. In 2008, Mike returned home to Omaha, and continued his Monday night string, this time at The Ozone, at Anthony’s Steakhouse. 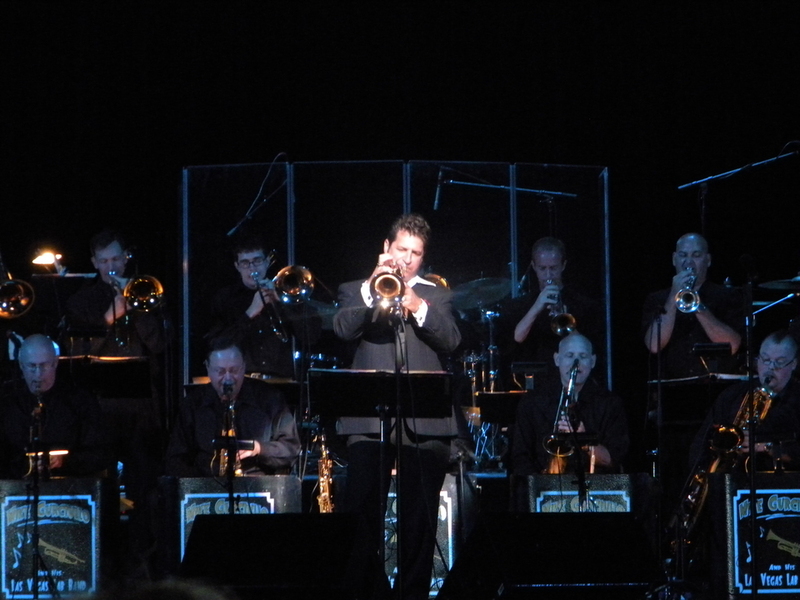 He and his Las Vegas Big Band (midwest version) have had crowds of dancers fill that venue for six years. Guest artists sit in, and everyone has a great time. On the agenda besides good food and a great time are Gooch’s screaming trumpet chops and smooth vocals. 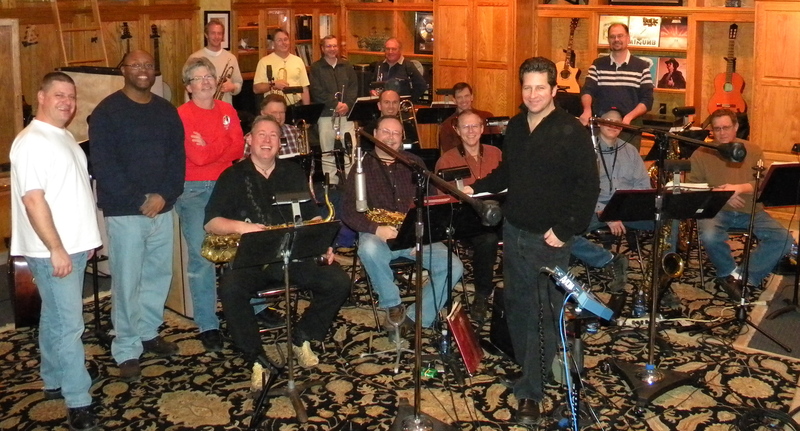 In addition to his big band gig, Mike plays small group gigs and shows throughout the midwest. You can even find him sometimes, solo, backed by recordings, singing and playing his horn as if he’s in front of the big band. Mike is also an educator, performing school clinics regionally. My hubby and I were classmates with Mike in high school, and have been friends forever. Mike’s passion for his music, and for his beautiful wife, Elaine, another fellow CHS Eagle, shows in everything he does. Here’s Elaine, I’m sure you’ll agree that of Mike’s many achievements, marrying her might be the greatest! 1) Who were your earliest influences musically? When did you know that music was something that you wanted to make more than a hobby? How hard is the road of a professional musician? What advice would you give to kids wanting to do what you do? MG – Who were your earliest influences musically? The first name that comes to mind when you ask that question is Maynard Ferguson. He was huge with high school kids back in the 70’s. once I heard him, I was so blown away that I started collecting as many of his albums that I could find. The two other cats that come to mind are Clifford Brown and Freddie Hubbard. Freddie and Maynard occupied the most space in my album collection; however, I was always drawn to Frank Sinatra. Today, Frank has everybody beat in my album collection!! When did you know that music was something that you wanted to make more than a hobby? Now that question has always come with a little bit of sorrow. You see, back in the day, I did two things pretty well. One was wrestling and the other was music. I started music in 5th grade and I began to wrestle in 6th grade. in high school, I was the captain of the wrestling team and the vice president of the band. Inevitably, the fall musical and the wrestling season both went head to head at the same time after school. I chose to wrestle during that time my sophomore and junior years, but it was now my senior year and I really wanted to be in the pit band for the fall play. 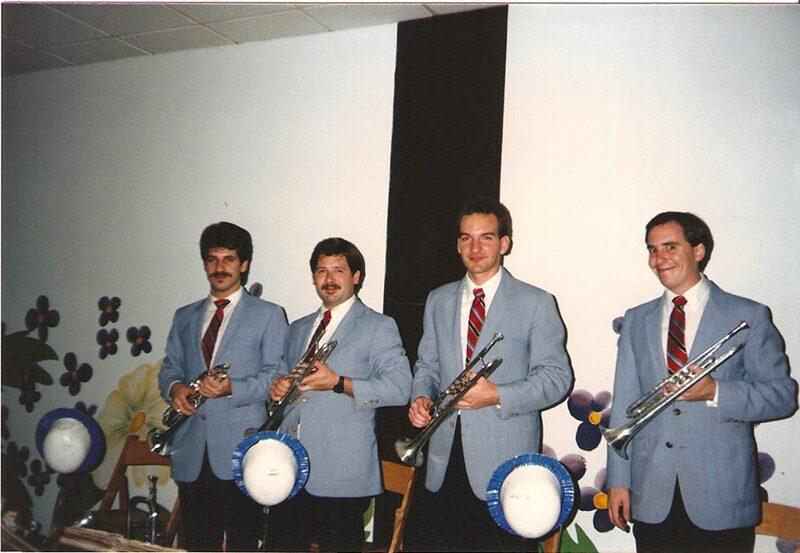 I was 1st chair trumpet at the time, and the gig was mine to do. I did some serious soul searching, and ultimately chose music over wrestling–a very difficult decision–that resulted in breaking a few hearts, including that of my wrestling coach. How hard is the road of a professional musician? You could write a book on that question that would rival War & Peace! It is very hard, yet it is very rewarding; there are many sacrifices to be made, but there are also many benefits to be held. The life of a professional musician is the most amazing roller coaster ride of all time: the top ten roller coaster rides in the world, linked together, would be nothing in comparison to the “ride” of being a professional musician. What advice would you give to kids wanting to do what you do? Don’t come into this occupation thinking that you will become the next great thing and be rich and famous and not have a care in the world. This is a very demanding, time consuming, ultra competitive, highly saturated industry. The musicians you see and hear on TV, YouTube, the radio etc, making the big bucks represent about 5% of the total musicians out there. The other 95% are carving out an income to merely survive. Most have day jobs to support their music habit. I have had days where I made over $2000.00 and I have had other days that I was scraping together all the aluminum cans I could find just to pay the rent. 2) How did you decide to concentrate on music of the big bands? Was there ever a time when you thought about going a different direction? Is it difficult to keep a big band going? How do you find your players, and how do you afford to pay them all? MG – How did you decide to concentrate on music of the big bands? That was easy, because I chose to play trumpet. I always gravitated towards the big bands. After all, there were usually four trumpet players in the section of a big band. You could hear great lead playing and amazing jazz players in the same band. In addition, I grew up in a time that I could see the remaining touring big bands. While my friends were seeing Foghat and Kansas, I got to experience the Buddy Rich Big Band, Count Basie Big Band, Stan Kenton Orchestra, Maynard Ferguson Big Band and other greats of that genre. Was there ever a time when you thought about going a different direction? No, I’ve never struggled with gender identity…lol…But seriously folks, I can’t say that I NEVER thought about pursuing another career path in moments of despair, but I always found a way to keep my dream and my life’s purpose afloat all these years. Is it difficult to keep a big band going? Well, it’s not the easiest ensemble one could try to maintain, but a copious amount of scotch does help. I have great players who love to perform in the big band setting and we have a deep roster of players that can sub for them as well. We are blessed to have so many gifted musicians in the midwest. It’s not just about the coasts anymore, there are dedicated and talented players all around. How do you find your players, and how do you afford to pay them all? I have always found my guys from the gigging community of players. Word of mouth goes a long way. I have led big bands since the early 80’s. Wherever I hung my hat, I also organized a big band. As far as the money thing, that comes from grants, donations, club owners, private party functions, and corporate events. 3) Who were some of your teachers that influenced your sound and your playing? What made them great teacher(s) and why did they have such an impact on you? MG – Who were some of your teachers that influenced your sound and your playing? What made them great teacher(s) and why did they have such an impact on you? My first private instructor on trumpet was Dr. Charles Sheppard. He was an excellent teacher, player, and brass repairman in the Omaha scene. Steve Thomas, a noted drummer in the area, who was also my jr. high teacher at Lewis & Clark, told me that if you are serious and want to get good you need to take private lessons. That was the first time I ever heard of private lessons. He told me about this cat at Music King in Countryside Village, and suggested that I should take private lessons from him. That relationship of teacher-student lasted throughout high school. I will never forget him and he got me on the right path early on. The next phase of my development was at music school at North Texas State University, now called University of North Texas. I was hanging out in the dorms talking to this drummer. (On a side note, in writing this, I just realized that two drummers have changed the course of my musical path.) This second drummer also told me that I should take private lessons. He said there was this guy in Dallas, world famous for his trumpet playing, who could take trumpet players and turn them into exceptional trumpet players. His name was Don “Jake” Jacoby. Jake was like a father to me. I studied privately with him for most of the time I was in Texas. He was the cream of the crop. He had a way of getting the very best out of you and showing you how to excel at that level whenever you pick up the horn. I loved him dearly, I was so fortunate to have been able to have our life paths cross. There is not a day that goes by that I don’t think about the things he taught me–not only about trumpet–but about love, life, and the pursuit of happiness. And for the trifecta, we have a gentleman named Tommy Porrello. He lives and performs in Las Vegas and has taught many students. I wasn’t one of his students per se, however I got a lesson from him every time we played together. He used to play lead trumpet for Harry James, Woody Herman, Stan Kenton, Vic Damone, Frank Sinatra, & Elvis, just to name a few. He has enjoyed a storied career many can only dream of. We have played together for over 15 years on various shows in Vegas and places as far away as Chile, South America. I absorb everything I can from him when working together. He is one of the very best lead players in the country bar none. In his 70’s, he is playing today just a well as he has in the past. Tommy is truly an inspiration to all who know him. I am very privileged to get to work with him again in the upcoming New Year’s Eve weekend in Laughlin, NV. 4) You have a great book of charts. Where did they come from? Do you write arrangements? Who are some of the arrangers you use? What makes a great musical arrangement for you? MG – I have been collecting, trading, and purchasing other people’s library of charts ever since I started assembling big bands. Other musicians write charts for me, including past and present band members, and I also write my own charts and arrangements. I am too afraid to try and figure out how much money I have spent and continue to spend on this big band endeavor. I have more charts than I could play in my lifetime, and my wife reminds me of this every day. They just have a way of ending up with me. Lots of people have given me charts, because they know I will put them to good use. I have arrangements from some of the finest arrangers that ever walked the face of the earth. You name ‘em, and I’ve probably have a chart or two from them. I would venture to say my entire library is getting close to 10,000 charts and growing. 5) What are your goal short-term and long-term for your music? MG – What are your goals short-term and long-term for your music? My most immediate short-term goal is to finish my next big band CD. We are in the process of mixing the tunes right now. This is going to be a really great product. It will stand toe-to-toe with anything out there. I hope Omaha will be as proud of this band as I am. After all, it’s not every day that a big band gets recorded here right in the big O! I am working with engineer Tom Ware, he is a genius as far as I’m concerned. However, Don’t tell him I said that, he may raise my rates! One of my longer term goals is writing and developing a show for pops symphony. I will be working with Mariano Longo of Orchestral Events, and we will be putting together my show for various pops orchestras around the country. I am really looking forward to performing in an orchestral setting. I love strings and all the timbres that the orchestra can provide. This is going to be a major highlight in my career. I can’t wait to sing, play my trumpet and flugelhorn, and entertain the folks with this special symphonic show.